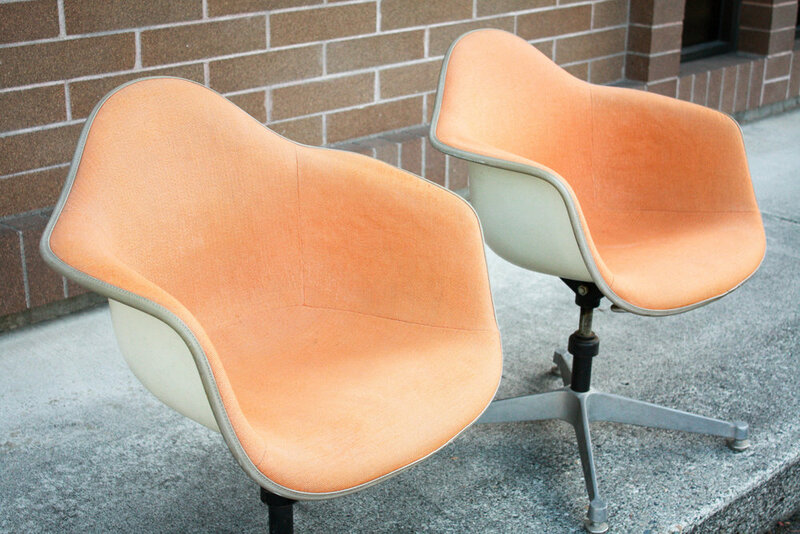 For your consideration is a pair of all original 1970s fiberglass arm shell, designed by Charles and Ray Eames. or The Herman Miller Company. The white shell are in phenomenal condition for their age, with only minor markings. 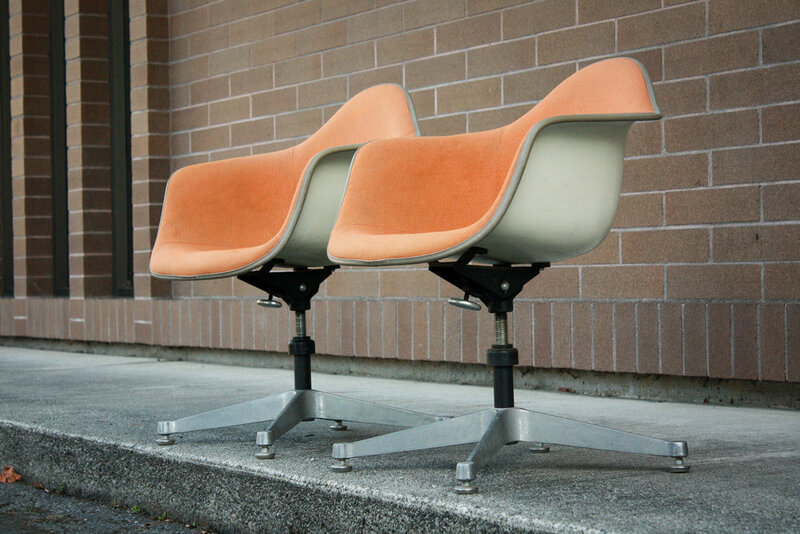 The chairs retain their original tangerine colored upholstery. The foam is not dehydrated or crunchy as is common with vintage pieces. 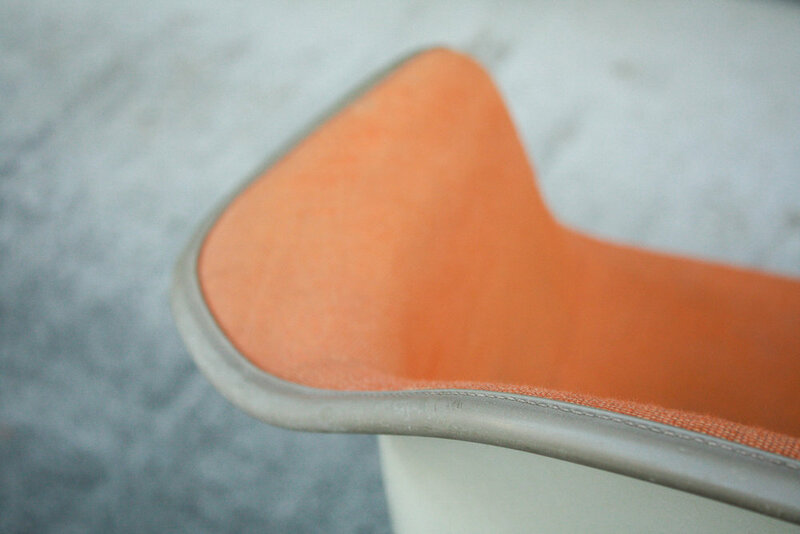 The fabric has expected fading and light wear showing the chair has been well used over the years, but definitely not abused. No need for immediate reupholstery before use as there are no tears, rips, holes, or large stains. 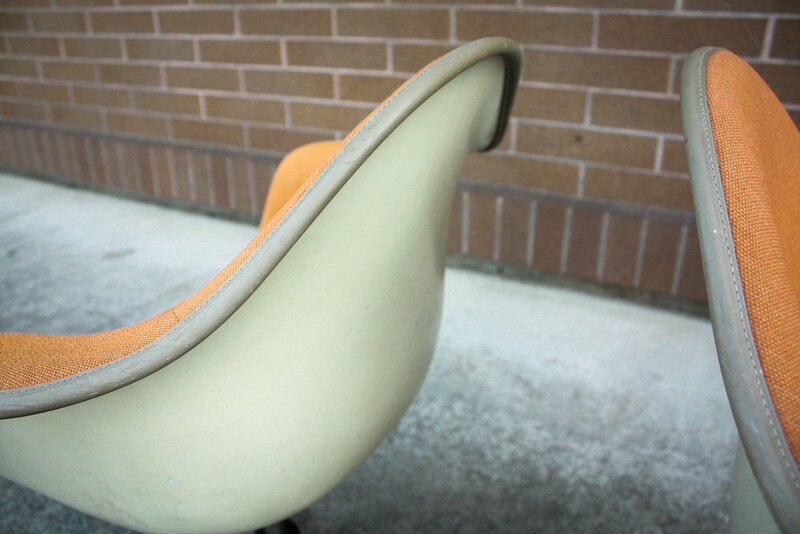 The base is all original and features the much coveted tilt, swivel, and height adjustment feature. 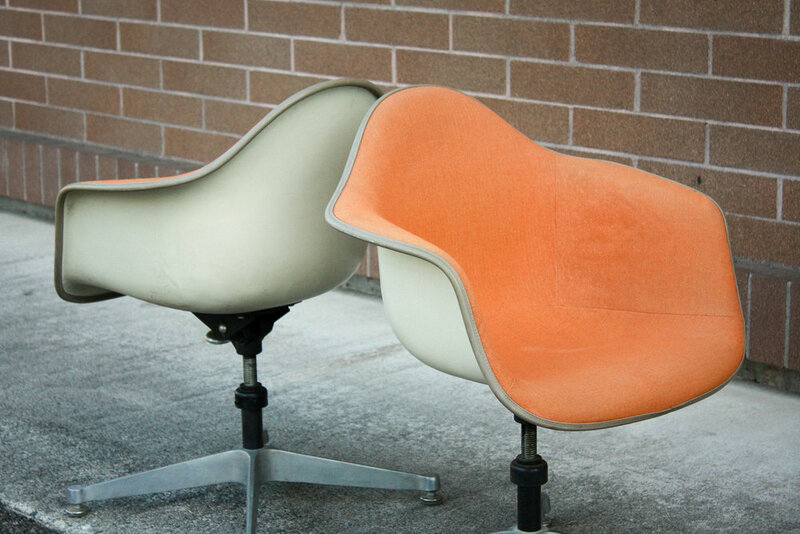 There chairs don't come around often, especially in this good of condition. 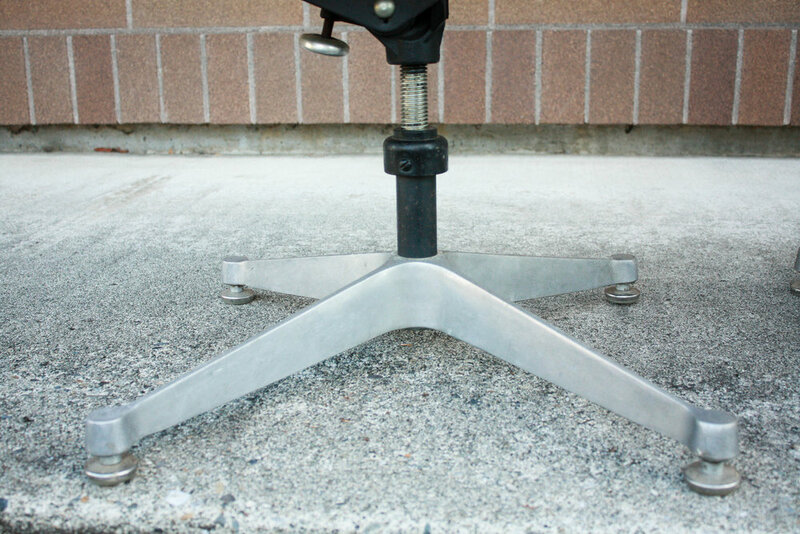 The original shock mounts are in perfect working order and need not be replaced. As with most Eames chairs, you could obviously change the base out with the eiffel, lounge, or various other Herman Miller bases if desired.